In a couple of weeks, we are going to have a new president. Teaching your kids about the White House and previous presidents is going to be much easier with the right tools. White House’s 1600 is an interactive app that teaches users what happens at 1600 Pennsylvania Avenue. 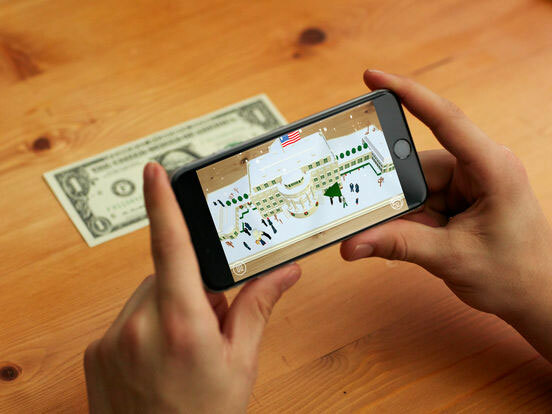 Just point your smartphone at a one dollar bill to get started. The app lets you view the White House from different angles. Simply move your phone around. You can use the app on any surface. This is a universal app that runs on iOS 8.0 and later devices. The app is available for free.